Photodex ProShow Producer - программа для профессионального создания презентаций от Photodex. Утилита поддерживает работу со слоями и дает возможность использовать неограниченное число слоев для каждого слайда. Программа поддерживает прозрачность для файлов PSD, PNG, TIFF и GIF, дает возможность использовать маски слоя, эффекты перехода, градиентную заливку или заливку цветом. Фотографии, из которых состоит презентация, можно редактировать, применяя к ним такие инструменты, как повышение четкости, изменение контрастности и насыщенности цветов.Презентация может содержать подписи, в том числе и анимированные, фоновую музыку.Готовый проект может быть сохранен в один из 14 форматов, в том числе в HD Video, Flash и QuickTime. Данная версия является самой функциональной версией из всех трех версий данной программы, а также полностью подойдет для использования в бизнесе. In the program go to the tab style - management styles - Import and specify the uncompressed file style. Click the Finish button. When you save in your program at * C: Program Files Photodex ProShow Producer styles * - created their own styles, or styles, downloaded from various sources, there is a risk contamination of the folder or its third party content over styles. It is better to keep the new styles in a specially created you and placed the folder of your choice (to remember the address). For use in all desired style - in the "slide style" will need to click on the "Manage Styles" - "Import" - specify the address of your folder and select it necessary at this time for style. When the need for imported style will disappear, the style can be re-move (click "Export") to a specified folder. Sometimes people ask how to apply a style to multiple slides. We explicitly do not. 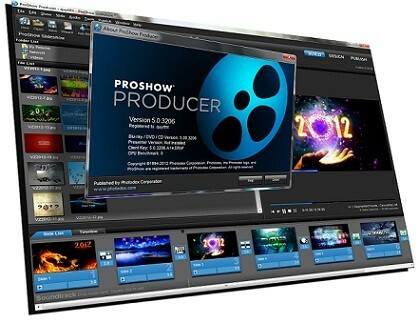 But in ProShow, starting with version 4.5.2929, there was a master of creating presentations, which are in the so-called themes, which represent a set of styles and transitions. Here they are, and then we can help in solving the problem. Create a new presentation (Ctrl + N), select the establishment of the wizard. During the various stages of the wizard, add photos, music, and everything else is optional. Then comes the third step of the wizard, who runs the theme of a presentation created. You can fit your needs change an existing topic by clicking "Edit", but it is better to create your own theme. To do this, there is a button "Add". Clicking on this button, you will see the question you posed in the offering subject to use a standard set of effects, or use effects in the current selected theme. You can choose anything you like, the difference is only in the fact that the choice of a standard set of effects in a new topic will include all the hundreds and thousands of styles available to you and conversion (torment then with all the check boxes to remove them). So it is better to choose the second option (the check boxes will be ten times less). After selecting the desired option, a new theme (your personal) will be created, and the window opens change the subject. In the group of check boxes next to styles of those styles (or in this case - one style) that you want to apply to slides in your presentation. Choosing styles, click the "Apply". We can assume that you've applied the style to a few slides. In the next step wizard, specify the desired pace of the presentation ... However, all the rest you already know. Needless to say, creating a presentation in a project, you can copy the new slides from one presentation to another, and do all the other wonderful things. Vista & Windows 7 - "C: Program Data Photodex ProShow Styles"
XP - "C: Documents and Settings All Users Application Data Photodex ProShow Styles"
and the need for transitions between them. Two. Do not forget to put a tick in the checkbox tab "Settings layers" - "The style and pattern - Replaceable image"
if there are layers of images in a slide. By default, the check mark in the checkbox is set, ie - All layers replaceable. easier to replace the auxiliary images on their own, than "solve" the idea of ? ?the author. Three. When used in a rare style of (specific) font - it is desirable to add them to an archive file as an addition to the style. 4. Changing the format of the presentation screen (4:3 or 16:9), you can check the correct operation of the future style in different formats. click on "Create" button in the "Options Slide - Slide - Slide Styles." This opens the window "Create a slide style." lead to significant errors and distortions in the display style. this topic at the beginning) and is ready for use. custom folder, where it is saved automatically when you create or open a window "Manage Styles slides"
below - the "Export" and specify the path to save a copy of style elsewhere.